The B.F.A. in Film Production focuses on visual storytelling and fosters the development of your creative voice and artistic expression in the context of a rigorous liberal arts education. This comprehensive program emphasizes a hands-on, project-based approach in which you will learn all the aspects of film production through the use of our state-of-the-art facilities and best industry practices. You will receive a solid foundation in all aspects of filmmaking under the guidance of award-winning filmmakers, many of who still work in the industry. At the end of the sophomore year, you choose an area of specialization in directing, cinematography, editing, sound design or production design. In the third year, you create a 10-minute Advanced Production project that involves collaborating with students from all the different areas of specialization. Your education culminates in the fourth year with the creation of a Thesis film that provides you with a professional portfolio piece to serve as a calling card to the industry. And the best part? You own all of the rights to your projects. Exhibit a broad and foundational understanding of the fundamental components of visual storytelling, story structure and story analysis. Articulate the essential functions and roles on a film set, and can work collaboratively within that structure. Through closely-mentored projects, demonstrate technical proficiency in a specific filmmaking discipline (Directing, Editing, Cinematography, Sound Design, Producing, and Production Design). Through critical essays, writing assignments, and visual production exercises, demonstrate an understanding of the development of film language, including aesthetic perspectives. 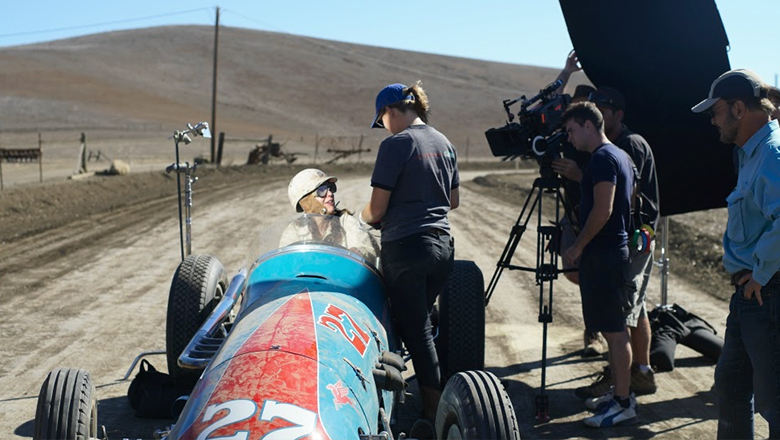 Students must choose an emphasis in either cinematography, directing, editing, production design or sound design, prior to their junior year, to pursue for their advanced area of study requirements. However, they are still free to take classes in other disciplines. We are making changes to our B.F.A. Film Production application for applicants applying in Fall 2018!